These days, the cost of a child’s birthday party is growing faster than kids grow out of their shoes. A study found that on average parents spend $450 on a child’s birthday party. If you have more than one child, that price tag can reach near and over $1000 a year! For that amount of money, you can take the family on a nice getaway rather than spend it on birthday parties. The good news in all of this is that a child’s birthday party does not have to cost you nearly that much. After all, it’s about celebrating your child’s special day, not about going broke! 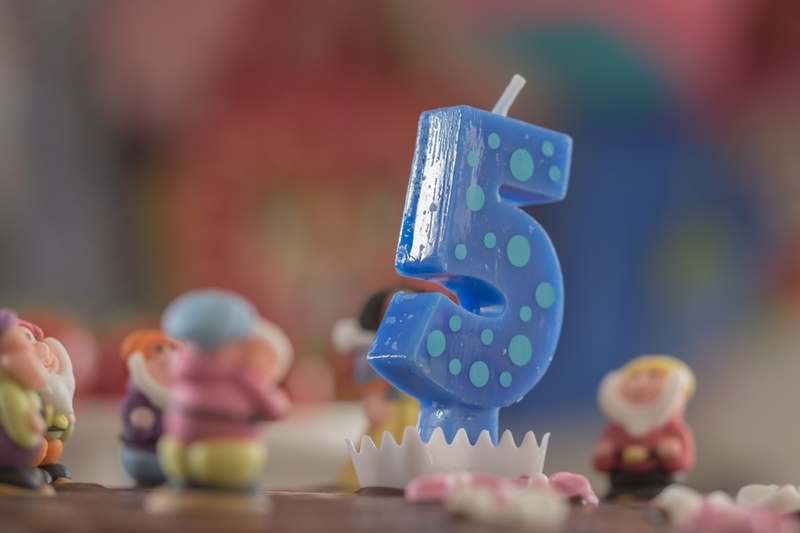 Here are five tips to throw a child’s birthday party on a budget. Bakery cakes, even those purchased at your local grocery store, will cost you far more than if you made the cake yourself. For about three dollars you can make a half-sheet size cake or about two dozen cupcakes. There is no place that can get you a deal like that! 2. Reduce the invitation list. Many schools follow a rule that if you want to invite children in the class and hand out invitations, you need to invite the entire class. Although your child may think he or she is best friends with everyone, we all know that’s not the reality. If your child has a few close friends chances are you have the parents’ phone number. Call them up and invite only those close friends rather than the entire class. Another option is to cut the class altogether and only invite close friends and family. Do you really need another plastic ring or whistle in your house? The answer is no. If you talk to other parents they’ll likely agree. Most of the stuff in goodie bags is made of plastic and serves no real purpose. Sure your child will be entertained for 4.5 seconds. After that, he or she will lose it or it will end up in the black abyss otherwise known as the toy box. The solution? Don’t give a goodie bag! You’ll save yourself a good chunk of change and probably make a lot of other parents happy in the process! If you really feel the need to give something to your pint-sized guests, buy one bag of lollipops and give each child one on the way out. 4. Go retro for activities. If you’re having the party at your house, you don’t need to hire entertainment. Go retro instead! Try no cost games like freeze tag, musical chairs, or potato sack races (using pillowcases), or even charades. The funny part is that many of your child’s guests may think these games are “new” and cool because chances are they’ve never played them at many of the over-played children’s birthday party venues! 5. Don’t fall for themed party goods. Walk down any party store aisle and you’ll see plates, cups, and just about anything else you can think of decorated in any theme your child can imagine. Sure it all looks pretty, but the price tags certainly are not. Paying $2.99 for eight plates or cups is far more than you’d pay for the stripped down variety in the grocery store, not to mention the fact that you’ll get more than eight plates for $2.99. If your child is upset that you won’t be buying all the decorated paper goods and their second cousins, explain that they’ll just end up in the garbage anyway! Most importantly, don’t forget to let your child be a child and have fun! Ask what cool ideas (that don’t cost a lot) he or she has to make the party special. Their imagination is one of the greatest free resources out there. By throwing a birthday party that doesn’t cost hundreds of dollars, you’re giving them an invaluable gift…teaching them you don’t have to go broke to have a good time!